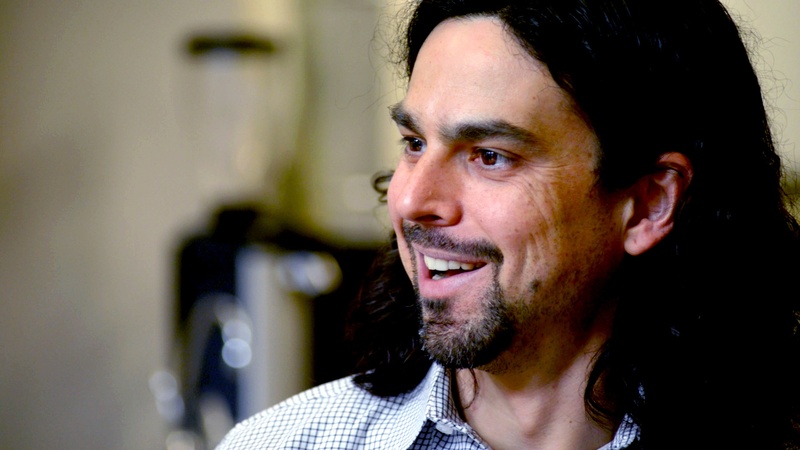 This week, we’re interviewing Albert Macso, an independent coffee roaster and co-owner of Akron Coffee Roasters. Albert started out roasting coffee at home with friends, but as his hobby grew into a business, he upgraded to a more industrial process and a storefront. For all the coffee flavors he creates, Albert sources responsible coffee beans from around the globe, as well as his professional roasters and grinders. If you’re a brand that sells to coffee roasters, this 1-on-1 interview with Albert will give you some insights to help you reach makers like him. 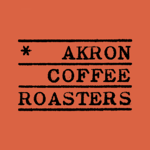 I’m Albert Macso, co-owner of Akron Coffee Roasters. 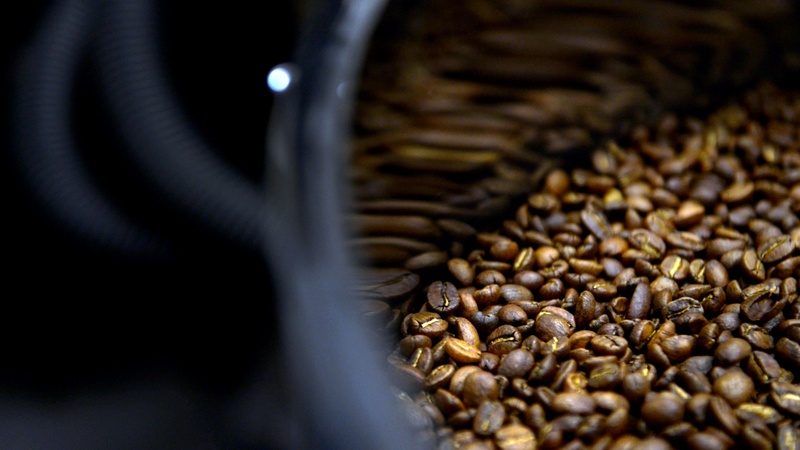 How and when did you get started roasting coffee? We got started roasting coffee several years ago, my business partner Tim and I. I just recently moved back into the Akron area from living in Portland, Oregon, where we became accustomed to drinking really good, freshly roasted high quality coffee. I got back to the area and just couldn’t find that same product or cafe so Tim actually got a little home roaster as a gift, and we started roasting for our own personal consumption, just so we had the coffee that we liked to drink.. We took interest in the roasting process, and differences in different types of origin of bean. I had been working as an accountant for the prior ten years and got really good experience doing that, but I knew it was not something I wanted to do long term. Tim had a good opportunity as well, so we thought it was a good time to do some roasting and turn it into a company that we could share with Akron. Are people excited when you have a new coffee to try? Yeah, they are excited, and we have a lot of regulars that come into the shop daily or a few times a week to get a cup of coffee, so for them they always get excited because they have already had the ones that they have been drinking for a few weeks now. So they get excited, and they get into it in the same way we would. What is your roasting process like? Our process starts when we either order samples or order products from our supplier. We use a single supplier out of Oakland, California, that only specializes in supplying the highest quality special grade coffee. We know that everything we order from them is going to be super good coffee. We start with the green beans, and we look to see what kinds of characteristics those types of coffee have. You know, if we are going into summertime we might want some nice refreshing citrus type coffees, maybe some heavier, fuller bodied, sweeter ones in the winter time, stuff like that. So we have kind of an idea of what type of coffee we are looking for. We bring them in, and then we do a few sample roasts because you can really change the flavor profile of the coffee by the roast profile that you give it, and certain coffees will tend to taste better in certain roast levels. While we’re doing that, we get the artwork ready. Each of our bags has unique artwork that goes along with it. The bags will give you a lot of information about where the coffee is from, the country, region, sometimes the mill or the farm that it was processed at, the elevation it was grown, all sorts of geeky coffee information that people either care about or don’t. We cycle through and turn over our coffees generally about four or five times a year. So we never have the same coffee throughout the entire year. How did you establish relationships with the suppliers you work with? We started using our supplier when we were home roasting. They kind of target that area. They sell really high quality coffee in high batches. But, they also have a commercial division. So when we grew into the commercial side, we were able to stick with that same supplier, knowing that the quality of their beans was what was in line with what our expectations were. So we were able to keep using them. They have been doing this for over twenty years, they actually travel every year to the farms and build relationships with the farmers so they can improve their processes. They have their own pricing method. They actually pay above fair pricing levels, so they are giving the farmers the best price they can get for their high quality coffee. They kind of pick it off at the source, rather than having the coffee filter into the commodity market, they actually go out and target these farms so they can get the best coffee before it even gets anywhere else. How did you choose where to get your equipment? 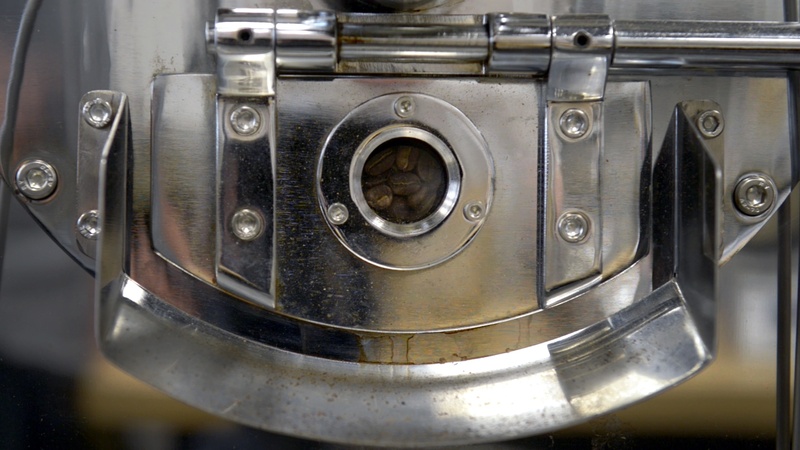 In terms of the equipment, the biggest initial piece was the roaster. We bought that several years ago. At that point, it was kind of an unknown of what we would need. Roasters come in different sizes. We didn’t want something too big, but wanted something that could work at a commercial scale. So we ended up getting a five kilo scale roaster, which is a really nice size for us. We roast several times a week, but we do it in small batches so that we can actually control the level of coffee that we put out. The coffee that we serve in the shop is within ten days of actually being roasted. All of the coffee that is sold on the shelf is a couple days old. We never have any product that’s sitting out there for too long because freshness is a huge factor in terms of the taste of coffee. So that is what we are really passionate about in terms of getting fresh coffee on the shelves, not selling anything that is already past its freshness and peak flavor. The smaller roaster allows us to keep that in line. How did you manage time in the transition from home to commercial roasting? It has actually worked out really well, the transition from home roasting to running a business. At the time, I was actually working as an accountant, but I was pretty flexible where I was actually working on a contract basis, so I did not have to show up at the office and work nine to five, or several hours a week. I could kind of ease back on those hours as I needed. It worked out really well because I did not have to make that one time leap. We started roasting and doing farmers markets and crafty marts, and events like that, and that is kind of how we have built it up over the several years, before we actually opened up the cafe here. So we were actually building the business over that time, and then as we got our name out in the area, we began to increase our sales, we were able to open up the cafe. Are you doing research to find new beans you have not used before? So, in terms of the coffee line up, we always try to keep all of the major coffee growing regions represented. We can break it down into three major regions: the Central and South American coffees, the African region, and then the Asian or Indonesian region. They all have different flavor characteristics, and people tend to like either a Columbian or Guatemalan, Central American coffees, the real bright, fruitiness of an Ethiopian or African coffees, or like the real earthy full bodied coffees from Indonesia. And then we just kind of go from there, and see what looks interesting, or something we have not done before. Different coffees come into harvest at different times of the year so that will come into factor. We had a Kenyan coffee that was really popular that we just ran out of last month, but we won’t be able to get Kenyan coffees for another couple of months until they come into harvest. We probably post most to Instagram, but things like events we probably post most to Facebook. We’re doing an event in a couple of weeks with HiHo Brewing Company. They are a really good brewery, and a really nice couple. So things like events we’ll post on Facebook. But for things like current events in the shop, we’ll probably post to Instagram more, like what coffee is being released and what roast we’ll serve. Do you ever connect with other coffee roasters? We did an event in Columbus last fall, the Columbus Coffee Fest. It was a group that brought in Ohio coffee roasters, and participants were able to go around and sample coffee. We have relationships and talk to Rising Star up in Cleveland. And you know we will reach out to like Artisan Coffee on Ellet. So we try to have a good community within the roasting industry and around the area. How about makers or creative people in general? Yeah, I think we have always been around that maker environment just because it was a big factor in getting us started. The first events that we did were the crafty marts on Saturdays. So the whole crafty mart scene is kind of close to us and all of the makers involved with that. We definitely like that environment, and there are a lot of cool people making cool stuff in the area, so it’s always fun to do events with those people. What sorts of challenges do you encounter? 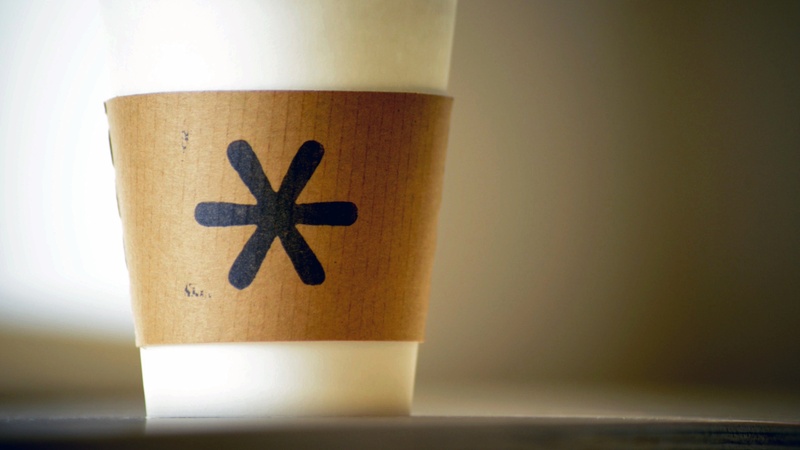 One of the biggest challenges for this coffee approach is that it’s new to the area. We are what would be considered a third-wave coffee shop. The first wave would be when coffee was consumed daily at home like Folgers. The second wave came in the 70s when Peet’s and Starbucks were coming around. You see more origin information, and they were more into the Sumatran coffees. That’s when people started to think of the coffee shop as a place to hang out. Third wave is coffee from origins to the cup. It starts with the highest-grade origin coffees to showcase those flavors, and the brewing methods were perfected to highlight those flavors. That approach of thinking about coffee in that aspect is kind of new to this area, so I think the biggest challenge is getting people to understand the difference between what we’re doing and what they’re used to. What's your favorite part about what you do? My favorite part of what I do is getting up and coming in every day. It’s fun to play around with different coffees and see what we can get them to do. It’s fun seeing how we can get them to taste their best, and drink different ones each day and see the differences between them all. And it’s fun to come in and interact with the customers and see how they interact with the coffees, and how they bond to the flavors. And it is cool to be running a new business in the Akron area, because there are a lot of new things going on, so it is cool to be part of that scene.